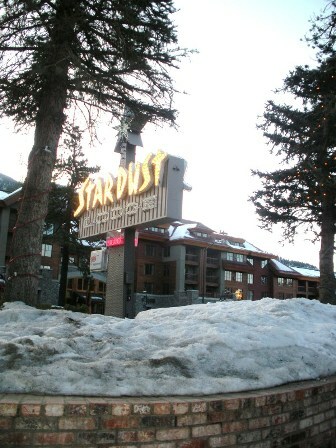 Stardust Resort is ideally situated in the heart of South Lake Tahoe's 'Golden Zone." Blending classic style and modern comfort in the heart of Lake Tahoe, our 86 rooms and suites offer every amenity necessary for a relaxing stay, including complimentary touches like daily donuts, coffee and hot popcorn, Wi-Fi Internet, DVD movies, board games and outdoor sport rentals. Residence-style conveniences include comfy seating areas and kitchenettes, flatscreen televisions and beautifully appointed bathrooms. The warm cookies you nibble on while checking in are just a hint of the thoughtful treats to come. As a guest, you'll enjoy a wide range of home-style pleasures, from spacious kitchenette-equipped suites to resort-style amenities like a hot tub and heated swimming pool open year-round. Complimentary perks include Wi-Fi Internet, hot coffee throughout the day and DVD movies. Our helpful concierge is available to arrange the Lake Tahoe adventure of your choosing - from skiing and snowmobiling to horseback riding, hiking, rock climbing and golf - and you'll have the lodge's free mountain bikes, golf clubs, sleds and snowshoes at your disposal. 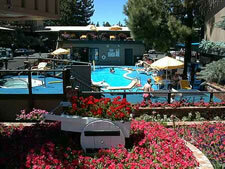 The Resort is only 700 feet from the casinos and a 10-minute walk to Lake Tahoe. Located across the street from the resort is Heavenly's gondola, which offers access to the mountain for skiing or sightseeing trips. In addition to its great location, year-round the Stardust offers guests a continental breakfast, two outdoor pools, two large hot tubs and a pro-shop that provides equipment for a variety of sports, including biking. 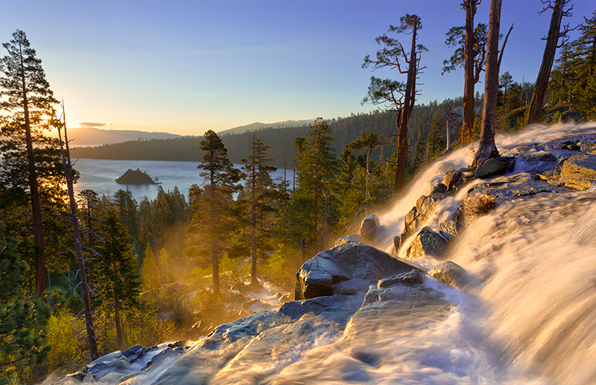 On your next trip to Tahoe, we invite you to discover the "Stardust Experience." Is this the resort for you? Take a tour and learn more about resort profiles. Or call (866) 325-6295. Explore rental and exchange weeks. Click to toggle between All and Calendar view. Will you have enough room? Double check before you book.